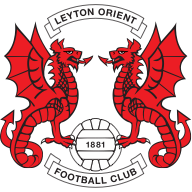 In-form Leyton Orient will be out to dent Leeds United's promotion charge at Brisbane Road on Saturday. The Os have won three and drawn two of their last five league outings and will provide Simon Grayson's side with a stern test. Orient boss Geraint Williams will keep faith with goalkeeper Jamie Jones despite him gifting Brighton their opening goal in last weekend's 1-1 draw. Williams once again has the luxury of a fully-fit squad to choose from with his players having had a full week to recover from any niggles picked up against the Seagulls. French striker Jonathan Tehoue got another 45 minutes under his belt for the reserves in midweek but will have to settle for a place on the bench again. Top scorer Scott McGleish, who hit his 11th goal of the season against Brighton, will be partnered by Ryan Jarvis in attack. 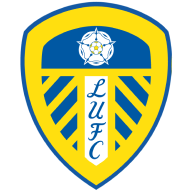 Leeds boss Simon Grayson could be without top-scorer Jermaine Beckford once again for the trip to London. Beckford was withdrawn with a hamstring injury at half-time during last Saturday's draw at Hartlepool and missed the Johnstone's Paint Trophy Northern Area final penalty shootout defeat to Carlisle on Tuesday night. "We're hopeful we'll have Jermaine back, but we'll see," he told the club's official website. "He's just tight, but another couple of days or so and he should be fine. If not, we won't be risking him." Defender Patrick Kisnorbo is also a doubt with the ankle injury that has kept him out of the last four matches. However, Neil Kilkenny came off the bench against Carlisle following injury and is in contention once again.